This year’s Houston Livestock Show and Rodeo is set for March 3-22. The official website can be found at http://www.rodeohouston.com. For those new to the Gulf Coast region, the Houston Livestock Show and Rodeo, one of the largest rodeos in the world, is a charitable organization encouraging and promoting the breeding, raising and marketing of better livestock and farm products at public fairs. They also promote and maintain research and educational functions in the livestock industry. The RodeoHouston division showcases the largest indoor rodeo in the world, offering a purse of more than $2 million and inviting only the most skilled cowboys/cowgirls to compete. NRG Stadium, the home of RodeoHouston, is the only stadium of its kind, built specifically for rodeo and football. This is Texas after all! Can you blame us? While the rodeo can’t be missed, there’s more to see at NRG. We’ve got the World championship BBQ Competition, the Little Rustler’s Rodeo, the 10K Run, the Trail Riders, the Rodeo Parade Downtown, Horticulture Exhibits, the Carnival and food vendors with special delectable delights. And let us not forget the world class concerts featuring famous Country, PoP, R&B and cultural performers. Did I mention the last several years there were more than 2 million attendees? To put on this huge 20-day event, workers and volunteers are needed. RodeoHouston volunteers are always needed, and there are also temporary hires/staff members needed in the Carnival and “foodie” areas. It’s a great opportunity for temporary employment. The companies that are contracted to hire for these positions usually advertise late January through the month of February. Aramark is the major employer for most of the service jobs, and they have job fairs at NRG Stadium or the nearby Workforce Solutions – Astrodome office at 9315 Stella Link Road. Those interested can keep an eye out for advertisements and can check http://www.wrksolutions.com for up-to-date hiring information. How do volunteers fit into the Houston Livestock Show and Rodeo picture? • Committee members donate an average of 67.7 hours of service to the show each year. • Every single ZIP code in Harris County has committee members living in its neighborhoods. • The committee volunteer group is 41 percent female and 59 percent male. 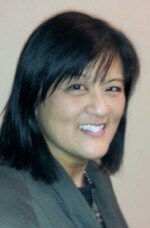 JoAnn Kawamoto is a Workforce Solutions Regional Facilitator for the Houston – Galveston area, conducting job skills seminars throughout the 13 county Gulf Coast region. She applies her B.Ed. and over 15 years of Workforce Development, Allied Healthcare, and Contract Management to connect potential employees with employers. Volunteerism is a great way to break into the business world! It offers up wonderful possibilities for full time employment. Nicely done JoAnn!